Apparently, Sony's sweet looking first person shooter won't be ready in time for the system's February 22 launch. When Sony first announced Resistance: Burning Skies, there was hope that the game would make it in time for PlayStation Vita's U.S. launch, which we know is February 22, 2012. According to the company's website, we'll just have to wait a bit longer. 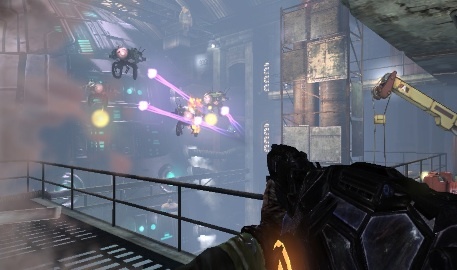 Turns out, Burning Skies won't debut until Summer 2012, at least for now. The game casts players as New Jersey fire fighter and National Guardsman Tom Riley, tasked with helping to save humanity from the evil Chimera. Thus far, it looks incredible, with highly detailed visuals that look great stretched across PlayStation Vita's impressive screen. Having to wait is a bit disappointing, but with ten plus Vita titles available at launch, we'll be just fine.